equineGenie is better than QuickBooks for a Horse Business. QuickBooks is like riding your horse backwards. You only know where you have been. equineGenie lets you know where you have been and where you are going. 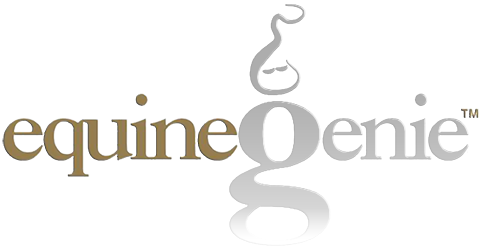 equineGenie includes financial analysis, financial management, financial reporting, accounting and bookkeeping! Horse Business Chart of Accounts with User Defined Sub-accounts, Business Cash, Checking, Debit Card, Credit Card and Savings Accounts, Supplier and Customer and Financial Account Management, Receivable and Payable Management, Asset Management, Financial Statements [Income, Balance Sheet, Use Of Cash], Cash Flow Management, Rolling and Annual Budgets, Income and Expense Forecasting, Break-even and Variance Analysis. *NOTE: equineGenie’s expert knowledge is supported with software logic that enables predictive modeling, resource optimization and heuristic learning so your business is operating efficiently at all times. Define your Chart of Accounts using representative accounts and subaccounts that match how you want to track, measure and manage your horse business income, expense and cash. Set up, track, measure and manage any business loans. equineGenie alerts you when a loan payment is due. Setup your assets and track, measure and manage their depreciation, net asset value and location. Add a picture of each asset for identification and insurance purposes. Set up a business income and expense budget that tracks actual performance against budget by account and subaccount. equineGenie analyzes your budget performance and generates variance reports. Set up your vendor's account financial parameters and payables balances. Identify Vendors who are contractors. equineGenie automatically tracks and reports their tax filing (1099) information. Set up your customers account financial parameters and receivables balances. Set up your business Checking, Savings, Cash and Credit Card accounts. Multiple accounts can be setup in each business account category. Funds can be transferred between accounts. Each account has it own register that can be managed, reconciled, viewed, exported and/or printed. equineGenie tracks, measures, manages and reports all your business transactions. Transactions can be changed or set to ‘0’, but all changes are tracked and reported to the business owner. There is a paper trail to track or hopefully prevent ‘creative’ accounting. You can Enter a Bill with its accounting information for a service or purchase not purchased or entered on another equineGenie screen. You can Pay a Bill for a service or purchase not paid on another equineGenie screen. You can Receive Money for billed charges, prepayments or donations. Money received can be Cash, Direct Deposits, Bank Transfers, Checks, Credit Cards and Debit Cards. You can apply the money received to an Invoice. You can easily split received money between accounts, subaccounts and invoices. You can apply money received to one or several business departments. You can issue and account for Customer Refunds. equineGenie automatically adjusts the business and the customer’s income and receivables. You can process and account for Vendor refunds. equineGenie automatically adjusts the business and the supplier’s expense and payables. You can make equity draws from your business if you business has the qualifying legal structure. You can make loan payments. equineGenie will process and account for business Loans. You can manage assets that are sold, exchanged or retired. You can remove assets. equineGenie manages removed or sold business assets and their net asset value and remaining depreciation. You can transfer funds between equineGenie accounts and your bank. You can make payments and deposit funds using your bank. You can view, export and/or print your business checking, savings, cash and credit card account registers. You can maintain and reconcile your business checking, savings, cash and credit card accounts.